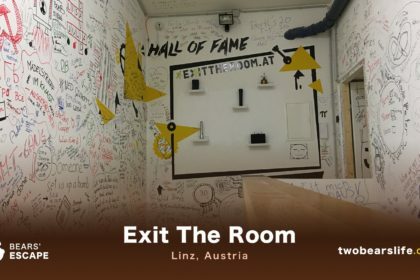 The second escape room company we visited on our vienna-escape-saturday was MindX. 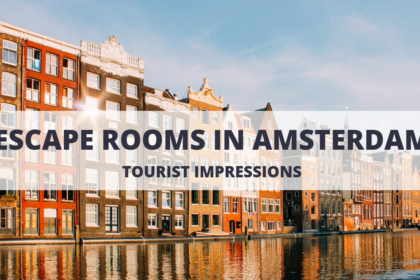 We did two of their three rooms and our experiences were so different, that it made us question our review method. Why? Find out in our Review. MindX is located in the district Leopoldstadt and close to the subway station “Nestroyplatz”, so it was not a problem to find them. Their location is clean and looks new, with a bathroom as well as a small waiting area available for the groups. They are operating three rooms simultaneously and it can get a little bit packed in their waiting area, but we did not have a (big) issue with that. We booked the MindX games “Insomnia” as well as “Sherlock Holmes” back to back. After finishing Insomnia in a record time (although it did not officially count as a record because of their “weird” rule that a record only stands if it is under 40 minutes – but whatever), we looked forward to the Sherlock Holmes room. Sadly, the quality of those two MindX rooms are not comparable at all. But lets get into the details. You are trapped inside crazy professor’s mind. Can you hack the code? Granted, the story of Insomnia is a little bit “out there” and sadly not available in english on their website. But don’t worry, this game is 100% playable in english – we did it as well. You are trapped in the mind of a crazy person and have to find the way out. The concept is weird, but it opens the possibility for really creative rooms and puzzles. The game is divided in three rooms, which have different concepts, but since you are in the head of a crazy professor, it’s all part of the theme. The first room focuses mostly on visual puzzles and clues, while the second one has a lot of math- and logic parts. The last one is really cool and special, so I am not going to give more details there. Generally this information is not even a spoiler, since the game-master told us all of this before the game even started – which was a little bit weird, I prefer not to know these kind of information when I start a game..
Never the less, the puzzles were unique and engaging enough to keep all five of us busy throughout the game. They advertise this room as their hardest one – which I can understand. It really holds its own even compared to most other rooms we have done for now. Mysterious, shady, chaotic yet logical. The second room we did in MindX was their take on the Sherlock Holmes theme. The idea is “Sherlock vs Moriarty”, which means that your Team will be divided into two groups and you will start in different rooms. Even though the whole “versus” part is kind-of rubbish, since you are not fighting against the other group but must actually work together to succeed in the first section and meet up for the second one, we really like the idea. The setup itself is really cool and it gives bigger groups more stuff to do – in theory. In reality, we had some smaller and bigger issues with this room(s). Some of those can totally be our own fault – others are sadly some weird game design choices that we did not understand and made most of the team frustrated and even angry. The Sherlock room has an element where you basically have to force a “Fake Wall”-Element open – it feels like you are ripping it from the wall. Confronted with this after the game (because we thought we did something wrong), the game-master just acknowledged the fact that the lock they are using is just that way and there is no better way to do this. Well, that was one of the minor things. The bigger problem we had with this room was the huge amount of distractions and red herrings that are in the room. It feels like there are even complete puzzle elements in the rooms that lead to nowhere. So besides not even being in direct contact with the other half of the group, you should know which elements actually lead to a solution (for something that may help the other team) or not. In our onion, that’s not a well designed game at all. 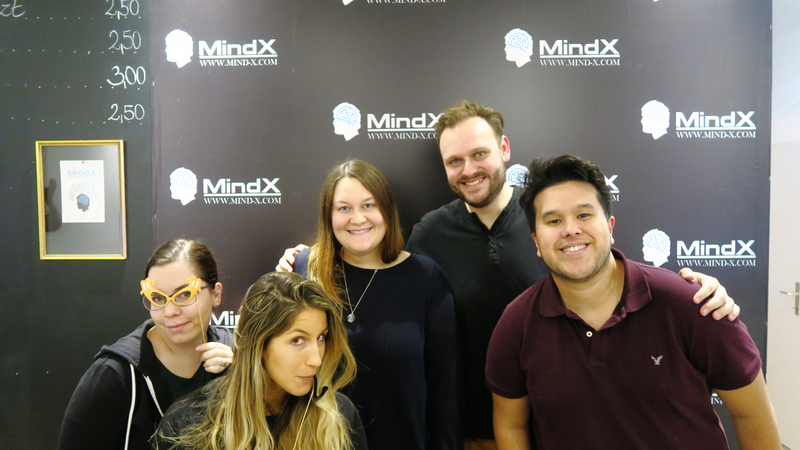 MindX really challenged us in a new way: never before did we encounter a company where we responded so differently to the rooms as we did here. As you know by now, we score each company as a whole. Sure, we do give room-by-room summaries, but the score is for the whole company. Given the fact that we loved Insomnia and sadly did not like Sherlock Holmes at all (hated would be a really harsh word, but some of our team members would even go there), we were seriously reconsidering the structure of our Escape Room reviews. But in the end, we decided to stick to what we already have. 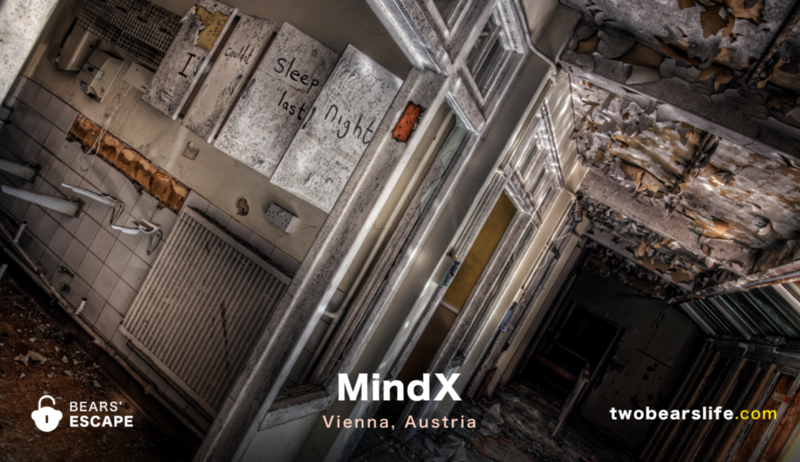 There will be an overall score for MindX – representing the two rooms we did. We offer more in-depth detail anyway. Lets start with the bad points of MindX: Sherlock Holmes was sadly a big disappointment for us. 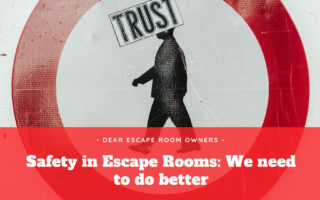 The funny thing is, the room is advertised as their easiest room – and it might even be true that our struggles stem from the fact that after doing so many escape rooms, we sometimes tend to overthink certain elements. Never the less, we asked about all the red herrings in the room, and we were told that they were there because the room would be too easy otherwise. Just a suggestion: how about simply adding a couple of real puzzles, instead of adding (puzzle) elements that lead to nowhere? Another bigger problem we had in Sherlock Holmes was the fact that we were told that the game could be played 100% in english. But there are in fact elements in the room that are just in german. Why? I have no idea, since it would be easy to translate them as well. Asked about them, we got the answer that those elements are not really part of the game anyway since they do not hold any useful information. I wholeheartedly disagree with that notion. And to be clear, we are not talking about background posters or empty decoration here. It concerns to a written clue on a wall for a puzzle as well as a two welcome letters. So yes, they are part of the game and should be translated, if you offer fully playable english games. Contrary to Sherlock, we had an amazing time in Insomnia and highly recommend this room to everyone who likes escape rooms and has some experience doing them. 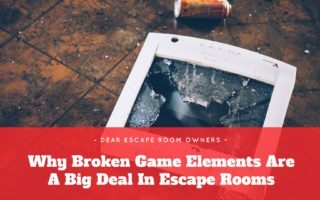 It may not be a good room to start your Escape Room journey, since there is really a lot of stuff to do. But the room idea is great and fresh, a lot of the puzzles are really innovative and there have been a couple of things in that room we have never seen before. The staff of MindX was nice and tried their best. 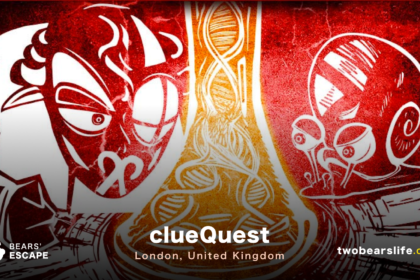 You can ask for three clues during the game – which is not ideal. Good thing is, we did not find out what happens if you are still stuck after you have used up all your clues, since we did not need them. Our feedback after the Sherlock Room did not really land on open ears either, but well – in the end, those are just our opinions anyway. And we are sure other groups respond differently. The location is easy to reach with public transport. The interior looks new and clean, although the waiting area gets crowded at certain times. The staff was nice, although we find the restriction of just 3 clues weird. The two games we played differ a lot in quality. We generally would not recommend Sherlock Holmes, since it has a lot of red herrings, that tend to get frustrating. 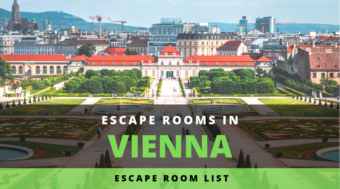 But we loved Insomnia, which now ranks as one of our all-time favourite rooms in Vienna. So there you go – two rooms, with just one of them being really really good. So try to at least check out Insomnia of you are in the area. 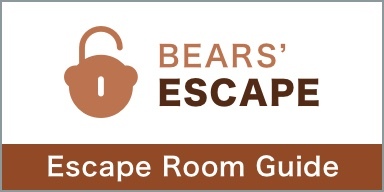 Have you ever played this escape game? Or can you recommend any other location for us to try? Please let us know in the comment section. Played Hangover and I’m pretty sure you’d have disliked it. Insomnia was fun but we’d lost faith in the venue so when we got stuck on a puzzle we assumed it was broken rather than we were missing something. Afterwards we got the answers and realised we’d been too harsh in choosing to skip ahead by brute forcing a combination. So insomnia was overall a decent game but I think, given the other two games are poor, I’d direct people at other better venues in Vienna.